What is Google Security Warning ? Why am i getting a security warning ? If you see “Google Security Warning” popup in your computer screen, asking you to call a telephone number, install any software or something like this, beware. Google security warning is a fake message displayed by some kind of malware, adware or malicious websites. These popups tricks user to call some fake tech supp Remove Security Warning Popup companies and ask for money. These kind of adware or viruses can show you annoying popup advertisements, make annoying redirects and they also can track your activities. Google Security Warning popup can appear on your android phone, as well as Chrome, Firefox and Internet explorer browser. In this article You will learn How to Remove Security Warning Popup step by step. Follow below steps to remove Google Security Warning popup from your android phone or Windows pc. 1. How to Remove Security Warning Popup from Computer. Follow below steps to get ride of google security warning popup virus on your Computer. 2. Create a Restore point. Before you start the virus removal process, you must create a system restore point. It will help you to restore your computer files and settings later, if you do something wrong during the the removal process. Read how to create a restore point. 3. Remove Unwanted/Suspicious programs from Program and features. malware in your computer can hide in any way, The first way of hiding a malware is hiding inside Program and features on your PC. 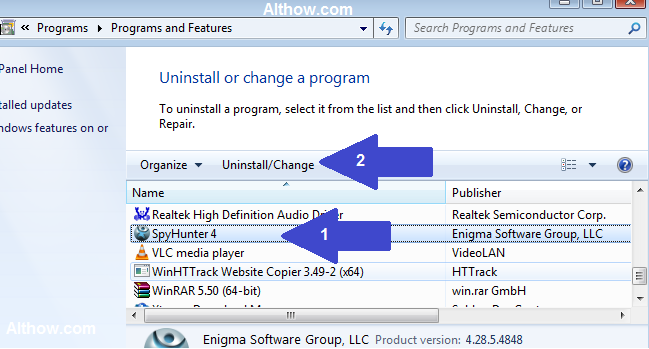 Follow below steps to uninstall any suspicious program from your PC. Now Look Closely into the Programs installed and Remove any Program you feel Suspicious, By highlighting it and click Uninstall/Change button. Remove any Suspicious Program installed on your computer. 4. Remove Suspicious Extensions (add-ons) from your browsers. You may have any Suspicious extensions (add-ons) installed on your Chrome/firefox/Internet Explorer browser. You need to look closely and remove any suspicious extension from your computer. Read below articles to know how you can remove unwanted extensions from your browser. How to Disable and remove Extensions from Chrome. Disable and remove Extensions from Mozilla firefox. How to disable and remove Internet Explorer add-ons. 5. Change your Default Search Engine. After disabling unwanted Extensions, you need to Change your Default Search Engine. You can change your Search engine to any trusted search engine e.g. Google.com bing.com or yahoo.com. If you already have search engine set to any of these, you can leave this step. Read below article to know how you can remove your default search engine. How to change default Search Engine in any Browser [Complete guide]. If Your homepage is other then google, yahoo or bing. It means, your homepage is changed by any malware/adware or virus and you need to change it back to google, yahoo or bing. you can read below article to know how you can change your homepage. How to change homepage of any browser [Complete guide]. If you have followed all above steps, you can skip this step, But if you have not followed above steps or want to make sure your browsers are clean, you can do a browser Reset. Read below article to know, how you can reset your browsers. How to reset Chrome/Firefox/and Internet Explorer. After Creating Restore point, resetting your browsers, removing Suspicious programs and extensions, changing your homepage and Search engines, Now comes the main part. Now you need to Scan your Computer With Malwarebytes (Malware removal tool), this tool will remove almost 60% of malware’s from your computer. If you don’t know how to use Malwarebytes, you can read below article for complete step by step tutorial. 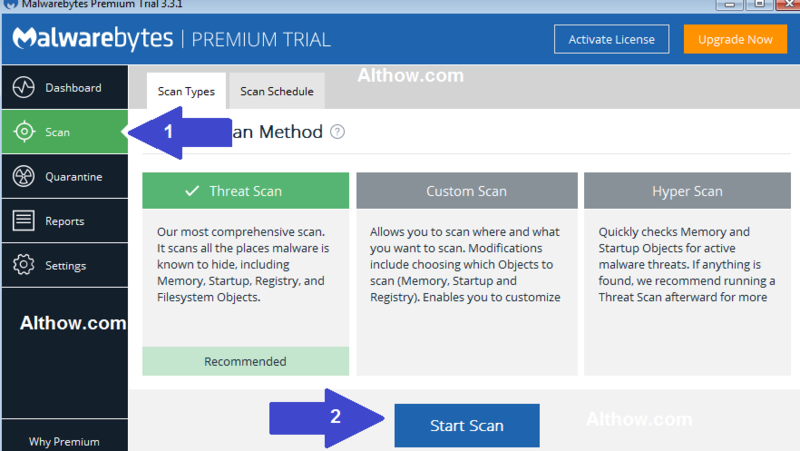 How to use Malwarebytes to remove malware from pc. After Scanning your Computer with Malwarebytes, there will be lots of adware and spyware left on your computer. And you need to run AdwCleaner on your Computer to remove all of your remaining viruses. You can Read Below article if you don’t know how to use AdwCleaner. How to Remove Adware/Spyware/Malware from PC with AdwCleaner. 10. Run CCleaner to remove broken registry settings. Now, After running anti-malware or adware removal tools such as malwarebytes and AdwCleaner. they will remove all your viruses such as Google Security Warning. But they will left some broken registries and invalid registry entries on your PC. To clean all your Broken Registry Settings, you need to run CCleaner on your Computer. you can read below article for step by step tutorial on CCleaner to remove broken registries. How to Use CCleaner like a pro. How to Remove Security Warning Popup on android. Now If you want to Remove Security Warning Popup on your Android devices, all the above steps are not for you, you can follow below steps to get ride of Google Security Waning Viruses from your Device. Navigate to your Mobile Settings. Touch Application Manager or Installed Apps section. Now Touch all your Browsers one by one and Touch Clear data as well as Clear Cache. That’s it, Now you have successfully Removed Security Warning Popup on Android or Windows device. If you have any question regarding this article, you can feel free to ask me in the comment section below.